How was everyone’s Friday? Mine was good but super busy. My day started at 8 am with a trip to get some threading done with my sister. Threading is a form of hair removal. Sounds strange but it’s actually very efficient and effective. The two ends of a piece of thread are tied together and twisted several times (by rotating the wrist). This allows for a row of hair to be removed at once. My very gracious sister let me take some pictures of her getting her eyebrows threaded. The reason we opt for threading versus waxing or plucking is because the hairs tend to grow back softer, and you’re hairless for a longer time period. Whatever works, right?! After threading, I dropped my sister off at home and went to get a much-needed pedicure. 🙂 I am a little bit of a feetaphob (and yes, I realize that’s not a word), so I’m not going to put a picture of my feet on the internet. LOL! Enchiladas topped with sour cream and guacamole made by yours truly! Dinner was absolutely delicious, let me tell you! My mom uses canned refried beans for the filling but jazzes them up with spices and seasoning. And her sauce is just perfect and tasty! She promised to write down the recipe for me (and you), so be on the lookout for it! Tonight is Bollywood night #2 with Guzaarish. This is a movie about paralyzed magician who files a petition in the court for euthanasia. I’ve heard it’s really good and well-made but VERY sad. I may be shedding a few tears tonight. 🙁 Goodnight, everyone! I saw that movie and liked it. It was exactly how you described it… good but sad. Tonight I saw Dhob Ghat -Aamir Khan produced it and is in it. Glad you are enjoying your time at home! I love food, and I really enjoy reading your blog very much thank you for sharing this post. Feel free to check out our recipes. I’ve seen people getting that done in the mall and always wondered about it. Fortunately, I don’t need to pluck mine much, but I’d go that route if I did. Costco AND BBB in one day? Sounds like an AWESOME day. LOVE those two places! I’ve always wanted to get threading done..there are a ton of places around here that I could go to, but I’m just too scared. I’ve never had my brows plucked or waxed so I don’t have anything to compare it to…eeek! Threading, I love to hate it! I have super sensitive skin and I feel wounded after I get threading done. 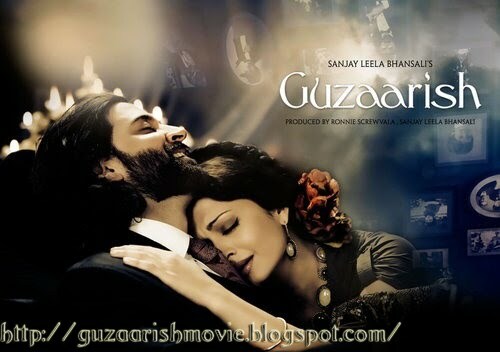 Tell me what you thought about Guzaarish? I am holding off on watching that movie. I totally get my eyebrows threaded all the time…I can’t handle waxing and I’m pretty hopeless when it comes to plucking. Threading is the best! I live and die by threading. I used to go to this little shop that was in my local mall, but my favorite threader left and now I just go to her house. My girlfriends think it’s really weird that I’m willing to go to someones house to get it done, but I swear it’s so worth it!